This is a very detailed sculpture of a boy spending some quality time with his best friend. The breed of the dog was not specified, but we have concluded it is either a Pointer or a Doberman Pinscher. 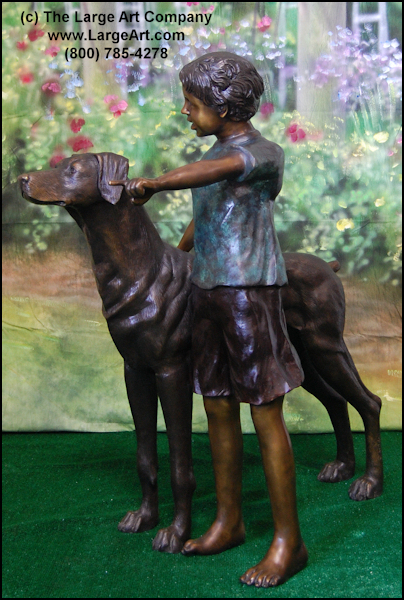 The sculpture measures 45" tall x 40" long x 20" side to side. The price shown does not include a base under the figures, but we can add one if necessary. If you would like a base please contact us for a current quote.